Where can I find photos from past festivals? Visit our Facebook page and check out our photo albums. Contact us if you need a higher-res version of a particular photo. 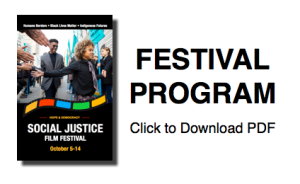 What are the dates of the next Social Justice Film Festival? The 2018 festival will take place October 5-14 at venues around Seattle. View the schedule here.